What do I do if my refrigerator is not cooling? Is your refrigerator not keeping your food cold enough? There are a couple of common reasons this may be happening. Especially if you have a newer refrigerator that is in seemingly good working order. Read below for refrigerator repair tips you can do yourself. If you have little ones, this is always the first place to check. The thermostat on a refrigerator is irresistible to little hands. Food and drink containers can even bump the dial, depending on how ‘touchy’ yours is. It’s a good idea to add this task to your Spring Cleaning List (Fall too for that matter). If you own a newer refrigerator, then it’s likely your coils will be underneath. On older refrigerator models, coils are located on the back. What do I do if my refrigerator is leaking water? If you have a water leak from inside or even under your refrigerator, it’s a good idea to check your water supply lines. Water lines that connect to ice makers and water dispensers can leak. This can cause water pools under and inside your fridge. Don’t have an ice maker or water dispenser? A refrigerator without water lines can create water problems too. Water, in the form of condensation, is produced in every fridge. If the system that deals with this condensation fails, then you can end up with puddles of water. If you have found these refrigerator repair tips helpful, then please share with all your friends. 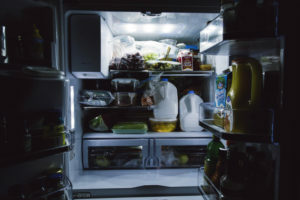 Read tips about Refrigerator Care to help you prevent costly appliance repairs. 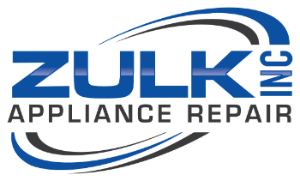 Zulk Appliance Repair services major Brand Names such as Subzero, Electrolux, LG and more!